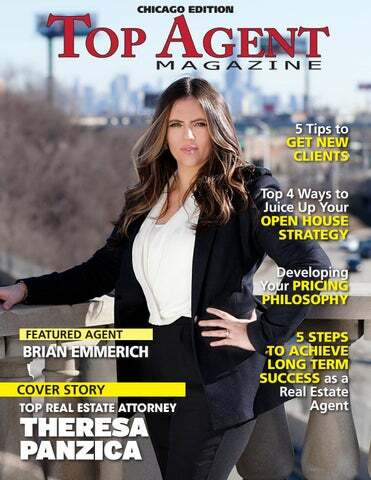 Brian Emmerich is a realtor truly cares more about his cli than he does about himself. always has their best interes heart and is there to guide th every step of the way through home buying or selling proc This has developed a strong b ness for him over his 12-year estate career and given him a percent and referral business. “The reason my cli BRIANrepeat EMMERICH keep coming back and referring me is because they realiz they know it, and it comes across,” he says. Emmerich has really carved a niche for himself with sen that are looking to sell their home and move to the next s of their life. He is literally an expert in this area of real es CONTENTS earning himself the designation of Senior Real Estate S cialist (SRES) and serving as a member of the Senior Ser 18) DEVELOPING YOUR Task Force with the Mainstreet Organization of REALTO PRICING PHILOSOPHY “It’s given me heads up on how to work with seniors and f ilies in the transitional phase,” he says. This delicate time senior’s life can often have them open to scams and or ad from members that overwhelmed by the proc 22)family 5 STEPS TOareACHIEVE and at the same time, unaware of market changes or the LONG SUCCESS options nowTERM available to seniors. Emmerich has the exp ence to help seniors during this challeng ASand A demeanor REAL ESTATE AGENT time and offers them the support they need to sell their ho He also offers a bevy of resources to his senior clients to h them pack, declutter or even move. To learn more about THERESA PANZICA, visit panzicalawoffice.com, email contracts@panzicalawoffice.com or call 773.539.5970 www. 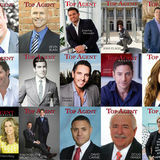 It’s easy for Emmerich to stay in touch with his clients as he runs into many of them in the community that he lives. Here, he is an active member of his church, educating attendees on the sacraments. He is also a member of the Arlington Heights Chamber of Commerce, where he has been involved with the board, and provides greatly needed blood and platelets to community residents through his own donations. When Emmerich wants to have some fun, he plans time with his wife and family. They take to local restaurants for a night out or travel to a unique and interesting city. He is also an avid reader. With business growing for Emmerich, his future plans include continuing the focus on seniors as more and more baby boomers are retiring and moving to the city that he specializes in. He wants to take the opportunity to work with more elder care attorneys as their trusted realtor, emphasizing on his ability to put his clients first.